HomeI'm new to solar helpIs Solar Hot water and Solar Electricty/Power the same thing? Some customers who have never thought about solar don’t know there is actually a difference in solar power and solar hot water. They just know they have bought this house that has solar panels on the roof. They don’t know if they are for hot water or for power. So how do you tell the difference? Solar hot water generally will be a flat panel with copper pipes running through it with a glass cover. Your hot water tank will either be on the ground or on the roof mounted where the tank will be sitting above the panels. The copper pipes go from your panels where the water is being heated up into your tank and then into your house. The only electricity they have running to them is to the pump to circulate the water if your tank is down on the ground and also power running to the circuit board and thermastat. The tank also will have a booster which turns on when the solar panels aren’t quite doing their job and the water temperature drops. Usually solar hot water system only have 1,2 or three panels for larger systems. Solar hot water systems can also have tubes instead of the glass copper pipe style panels. They still are in shape of a panel but the glass tubes are exposed. We will do a further detailed post on solar hot water at later date also if interested in learning more about solar hot water or you can give us a bell 1300 633 376. 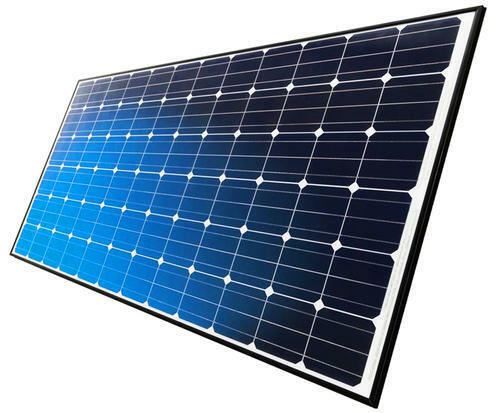 Solar power panels usually are not as thick and have black with either squares or lines running across depending on the brand. They can have black frames on them but majority are silver framed. You’ll also have an inverter somewhere in the house if you have solar power system which is a box that converts the power generated from the panels on the roof into usable power for your household. 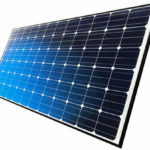 There should also be a PV sticker in your meter box showing that you have a solar electricity system at your property. It may be a good idea to go over your electricity bill to see if you have any solar gain and also check what rates your electricity provider is giving you for your excess power. We will go into this in detail in a further post. Generally solar hot water and solar power panels are on the same roof space so if you are thinking of going for both it is best to have a plan in place as all the panels will be competing for roof space and the best direction in relation to the sun.